Available in 2 sizes, 170mm and 190mm high. Silver archery award with gold detail. An impressive great value archery trophy. The trophy depicts a target, bow, arrow and archer. 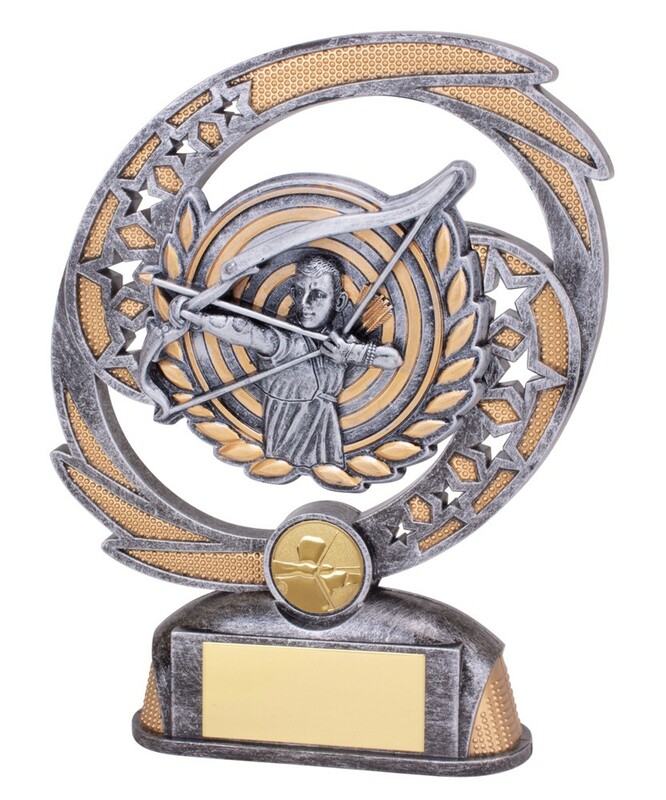 A great value archery award.